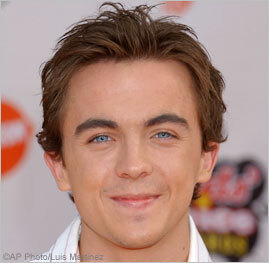 What's Frankie Muniz doing now that Malcolm in the Middle has shot its last episode? Yeah, we don't care either. But apparently it's news that the 20-year-old has decided to take a break from acting and race cars. If I were him, I wouldn't waste my time driving in circles. I'd get on the horn with Wilmer Valderama to get help figuring out how to bag me a Lohan or an Olsen twin. But that's just me.